Hidden Hunger: Tackling micronutrient deficiencies – One Billion Hungry: Can We Feed the World? But breeding more nutritious crops is only part of the solution to tackle hidden hunger. Growing a diversity of nutritious crops will help to boost household nutrition. 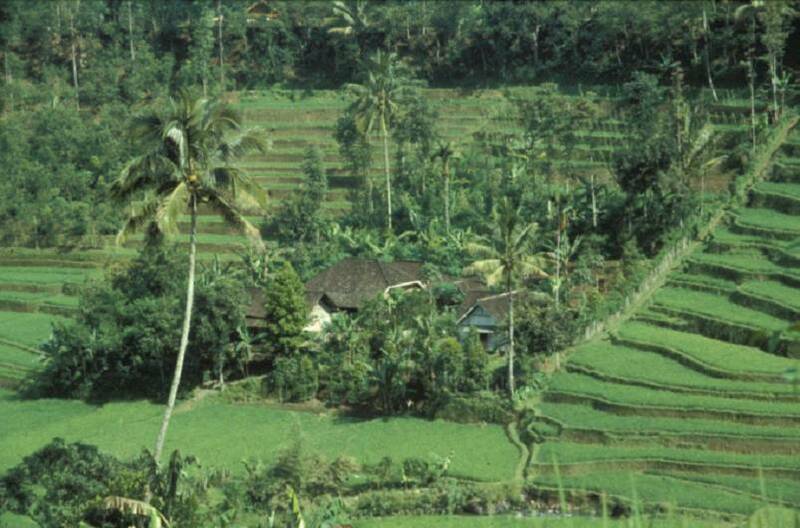 Gordon Conway often references his experiences of Home Gardens in Java (see picture) that grow a wide variety of plants and crops and house different livestock, all of which can be consumed or sold. The M.S.Swaminathan Research Foundation has recognised the importance of local people in fighting hidden hunger and has established a programme of Community Hunger Fighters, village volunteers who are trained to address the major causes of malnutrition within their community. Agricultural measures, such as improved varieties, diversification and biofortification, to reduce micronutrient deficiency are important for the long-term. Supplements to provide micronutrients lacking in the diet such as vitamin A can be critical in times of disaster and can reach a large number of people. But supplementation can also be costly and have unintended consequences. As an example, a recent study found that when supplements containing iron, folic acid, copper and vitamins were given to more than 600 Tanzanian children suffering iron deficiency their likelihood of contracting malaria rose by 41 per cent. As we see malnutrition is a complex problem and will require a variety of complementary solutions. While it manifests in individuals, communities and countries it occurs at the cellular level, requiring research at multiple scales alongside better nutrition education, better hygiene and sanitation, access to clean water and health care, and diversified and resilient agricultural production. Such a holistic approach is being piloted in Mali in the Africa RISING project where community health centres and women’s groups are being trained on a variety of topics. The momentum around tackling hidden hunger is growing and we can expect strong support from the G8 countries and other influential figures this weekend. There are a plethora of solutions and many good news stories but we desperately need to keep this momentum going and break down the boundaries between different sectors and government ministries to truly take integrated, harmonised and impactful action against malnutrition.